Inici » Soloists of the Symphonic will offer a concert of chamber to the Club Diario of Ibiza in commemoration of the Year Llompart with free entry. Soloists of the Symphonic will offer a concert of chamber to the Club Diario of Ibiza in commemoration of the Year Llompart with free entry. of the death of the writer, poet and cultural activist Josep Maria Llompart of it Peña. This concert is one of the activities posed by the Council of Culture that frame in the Year Llompart. Besides, it answers to the aims posed to the Plan of Culture of the Balearic Islands, that are the decentralisation of Mallorca of the cultural offer, the accessibility to the culture and the research of new publics. 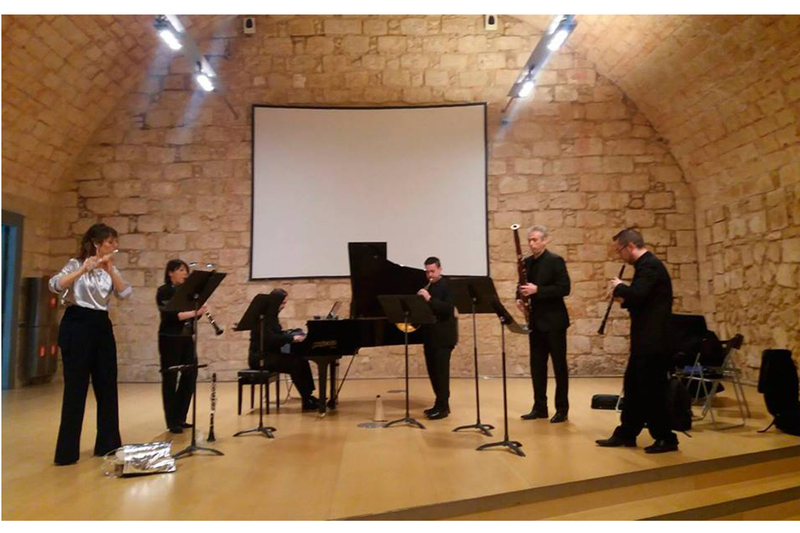 Smerald Spahiu (Violin); Paula Marked (violin); Sonia Krasnova (viola) and Emmanuel Bleuse(violoncel) will interpret works how: Views to Eduard’s sea Toldrà; Antoni’s Mediterranean Parera Bottom; Adagio of Miquel Capllonch; Isaac’s Catalonia Albén and Intermezzo(Goyescas) of Enrique Granados. Marta Cuesta Garcias, Joan Manel Cirer and Miquel Àngel Torrens Llabrés will be the soloists that will recite some of the poems more rellevants of Josep Maria Llompart how: “flowery Path”; “Small familiar history”; “Spring”; ” they loved “; “For Chopin’s a musician” “Path of perfection”, go in of others. The entries are free and can collect to MAEF, Necròpolis Puig des Mills of 10 to 14h. This concert frames in the Year Llompart. The institutional statement of the year 2018 as a Year Josep Maria Llompart has the aim of commemorar and recognise the figure and path of the writer and Majorcan activist all the year round with a wide program of activities driven jointly for the entities and institutions involved.